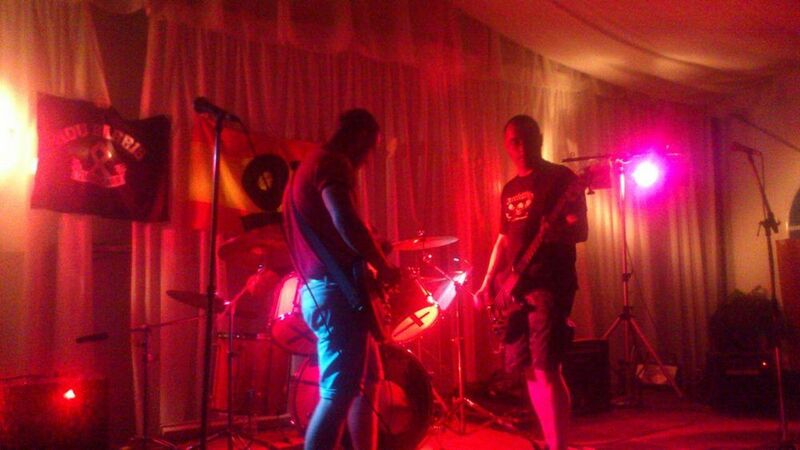 Interview with spanish RAC-band Celtiberia. Hello and nice of you to participate in an interview for us! Would you be kind to start with introducing yourself and the band Celtiberia. First of all thanks for your interest in the band. Celtiberia was form in late 2012. At the beginning the band was composed by 4 members, but because of differences with the previous vocalist we decided to expel him. The remaining three members decided to continue, and after a few months without finding anyone suitable to take over the vocals, drummer took over them, the result was optimal and nowadays we follow in this way. Ok, yes it has been a couple of years since the release of your demo "Rock Y Nación". Anything else that has happend for the band behind the curtains after the release? Well, in all this time we performed some concerts, we wrote new songs and as I said before we stopped for a few months in order to look for a vocalist during 2014, and also other months in early 2015 for different reasons. In the early summer of 2015 we returned and we are currently in the studio recording what will be our first album. In which area of Spain do you live in? And how would you like to describe it? We live in Zaragoza, a city founded by the Roman Empire and capital of the Aragon region located northwest of Spain. How is the scene in your area? Are there some shows and other media like zines or any events and organizatons? It is a region with diverse landscapes and rich cultural tradition, fruit of the imprint left by peoples like the Celts, Iberians, Romans and Visigoths. Regarding to the nationalist movement, today is smaller than it was in the past, even so, gradually new faces join the fight, and as for events, periodically lectures and small concerts are organized. Would you like to introduce your demo album? - Unidos por la historia: talks about the traitors who want to separate the glorious region of Catalonia from the rest of Spain, red and Zionists together trying to distort history of our nation, BASTARDS !!! 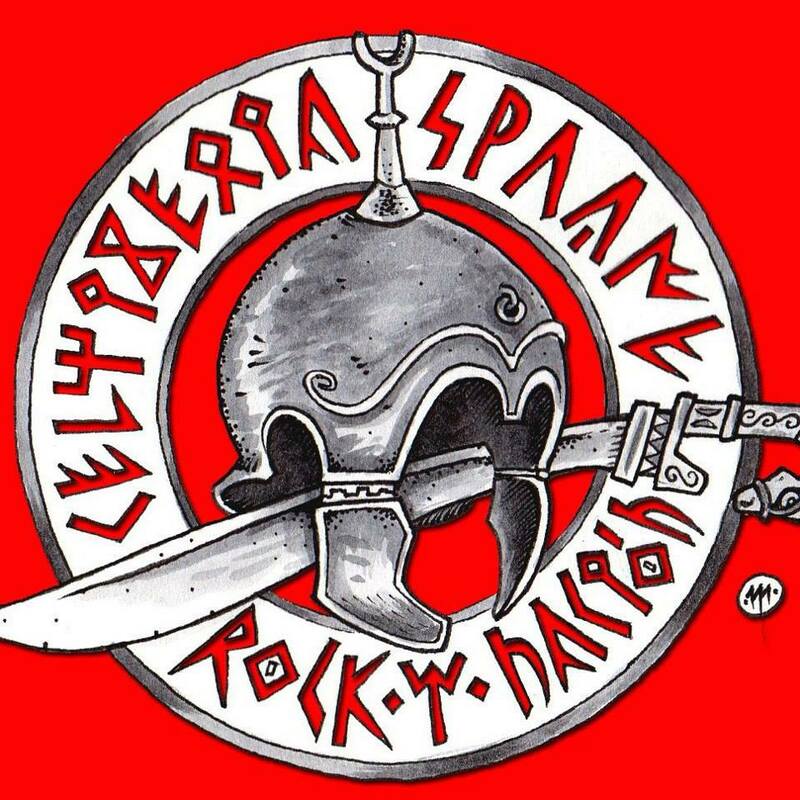 - Sangre de Celtiberia: This song is about the brave Celtiberian tribes, white peoples who inhabited an extensive area of Spain that included part of the region in which we live. -Nueva Europa: version of the theme Nuova Europe from Italian Peggior Amico. We decided to make this version because it is one of the groups, joined to Skrewdriver that influenced us more when we assembled the band. How come you ended up in this path of life and not just a consuming working tool for the Government? This question is easy to answer, seeing as our nation is sinking, as our race disappears, as governments defend Zionist interests rather than their own people, we would have to be crazy to sit and to do nothing. 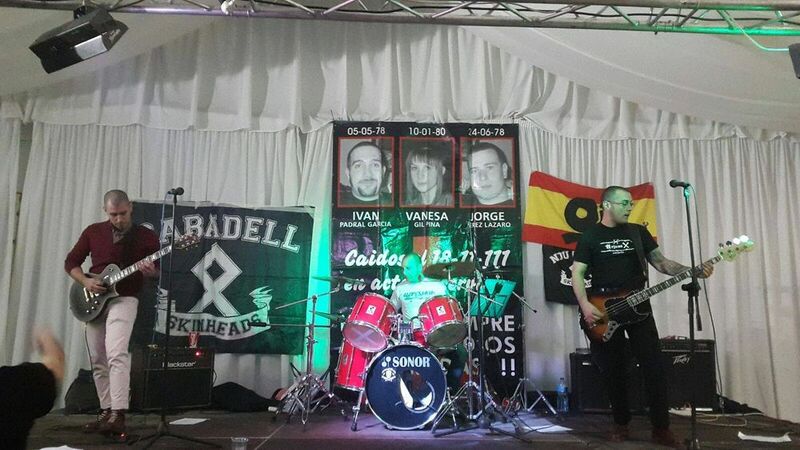 There are many ways to support the struggle for the liberation of Europe, ours is music. We have varied musical tastes. Victor listen to classic rock and roll, rockabilly, RAC. Diego; basically classic, punk, oi !, rock and roll, rock viking and Dani; RAC, metal, Oi! and viking rock. If you could change three things in the world today, what would they be? Difficult question, the world needs that many more things change. But hey, mainly conformist and self-conscious mentality of today's European society, indoctrinated and manipulated after years of brainwashing by the victories of the Second World War. With this change in the mentality of Europeans and whites in general, and the recovery of national pride, the solution to the other problems that threaten us would be much closer. Thank you. Anything you want to add to the interview? Thank you the interest shown in our band and it was an honor for us to answer your questions. Greet from here all the bands and organizations keep alive the flame of the white revolution. Do not stop until conquer! !